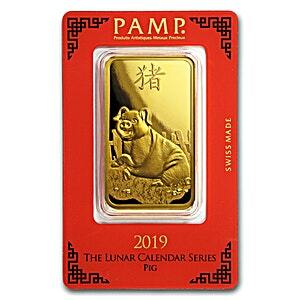 The 2019 PAMP Lunar gold bar series celebrates the Chinese lunar ‘Year of the Pig’ with an attractive design of a jolly pig on both the obverse and reverse of the gold bar’s surface. 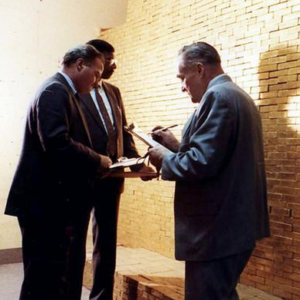 The 100 gram Year of the Pig gold bar has a gold fineness of 999.9, weighs 100 grams or 3.215 troy ounces, and has a bar thickness of 4.08 mm. Those born in the Year of the Pig, the 12th year of the Chinese zodiac, are said to be kind-hearted, calm, optimistic and loyal. The design on the bar's surfaces is highly detailed, and cleverly, the reverse of the 2019 Lunar gold bar also shows the same imagery of the pig in a reverse angle. Each PAMP 2019 Lunar gold bar comes in a secure and attractive CertiPAMP presentation card which for the Lunar series is a bright red colour, synonymous with the Chinese New Year. Red is also associated with luck in Chinese culture. 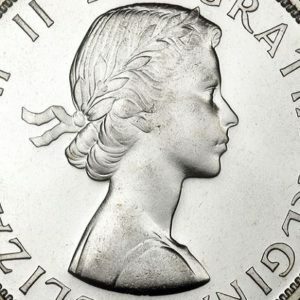 PAMP is based in the Swiss canton of Ticino close to the Italian border, in a region which is also home to two of Switzerland's other major gold refineries, Valcambi and Argor-Heraeus. PAMP is one of the world most prestigious gold bars brands and PAMP's Lunar gold bars are ideal both as physical gold investments and for gifting among friends and family for the 2019 Lunar New Year. Ordered 10 times last 7 days!